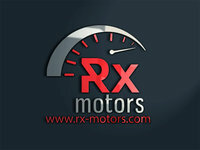 Sorry, we couldn't find any RX Motors LTD listings that matched your search criteria. Approved used: No Gearbox: Automatic Colour: Black Description: Used 2008 Kia Sorento 2.5TD XT auto for sale - £4,595, 87,705 miles with Leather seats, Sunroof/panoramic roof, Cruise control, Alarm/immobiliser, Alloy wheels, Privacy glass/tinted windows, Heated seats, Climate control, ISOFIX, Parking assist. Approved used: No Gearbox: Automatic Colour: Blue Description: Used 2012 Jaguar XF 2.2TD Sport (190ps) LE Saloon 4d auto for sale - £8,995, 100,115 miles with Cruise control, Satellite navigation, Alarm/immobiliser, DAB radio, Alloy wheels, Bluetooth, Climate control, Parking assist. Approved used: No Gearbox: Automatic Colour: Black Description: Used 2016 BMW 2 Series 2.0TD 218d M Sport Active Tourer 5d Auto for sale - £14,890, 37,895 miles with AUX/USB connectivity, Air conditioning, Cruise control, Satellite navigation, Alarm/immobiliser, DAB radio, Alloy wheels, Keyless entry/start system, Bluetooth, ISOFIX, Parking assist. Approved used: No Gearbox: Automatic Colour: Grey Description: Used 2012 BMW 5 Series 2.0TD 520d M Sport (184bhp) BluePerformance Auto for sale - £9,890, 105,977 miles with Sport package, AUX/USB connectivity, Air conditioning, Cruise control, Satellite navigation, Alarm/immobiliser, RS package, Bluetooth, Keyless entry/start system, ISOFIX, Smoker package, Parking assist. Ryan very helpful, no pressure while I looked through the car. Wasn’t the car I am looking for, but if he gets another one I would consider going back again. Superb customer service, very helpful and friendly people. Very fast and efficiently!many thanks Mr! Constantin thanks very much for choosing RX, Glad you are happy with your new motor, that's the most important thing for us. But I would also like to say thank you for taking the time to leave us a review. We really appreciate it. Many thanks & happy motoring. You know where we are, when you are ready for a change. Welcome back anytime.